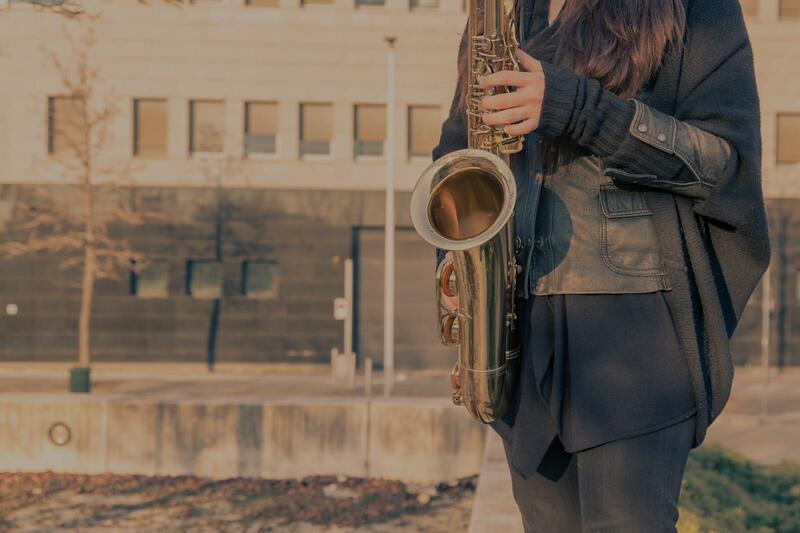 Lafayette, CO Saxophone Lessons Near Me | Fun Classes. Top Teachers. Check out some of our most popular teachers near Lafayette, CO including Denver, Aurora, Littleton, Englewood and Arvada. I began playing saxophone at 13 yrs and in high school I was the the 2nd Chair Alto Saxophone for the Wind Ensemble. I've been teaching beginning and intermediate level saxophone for over 3 years now. I am a professional singer with many organizations in the Denver area including Opera Colorado, Boulder Opera Company, Cabaret Otaku, Opera on Tap, and others. I am also the Cantor/Choir Director for House for All Sinners and Saints Lutheran Church. I have sung many genres including Jazz, Pop, and in leading roles in Opera and Musical Theater. I also co-wrote and performed music for the Buntport Theater's children's show TRUNKS! I have been teaching private voice for over six years. As an instructor and vocal coach, my job is to help you obtain YOUR goals as a singer. I love to sing and I love to teach people of all ages how to sing! ant to learn how to sing with better control of your voice? Trying to learn to read music and gain a working knowledge of music theory? As a teacher I strive to focus on what a student's strengths are and help develop them to their full potential! I teach my students various styles of music. My experience and training include classical, musical theater, jazz, and pop. James is excellent sax player and I appreciated that he personalized the lesson for me. I love working with James! He is bringing exactly what I want, which is casual fun while I expand my learning experiences. Alyssa really enjoyed her singing lesson with James and looks forward to her next lesson. Beginner to advanced students who are at least 8 years old. While my degrees are in clarinet, I am also an accomplished saxophonist who has performed in ensembles throughout Colorado and Western Massachusetts, including jazz ensembles, musicals, and a professional saxophone quartet with performances at a regional North American Saxophone Alliance (NASA) Conference. I have experience ranging from helping students just learning their instrument all the way to students looking at All State or college auditions. Leslie is a Denver based musician—clarinetist and teacher—who performs in solo and collaborative projects across the state while maintaining an active teaching studio. Leslie is in high demand as both a performer and teacher. Recent performances include solo performances is Denver and Stapleton, several chamber performances with her wind trio Enigma and the Lamont Clarinet Choir, and appearances with the Lone Tree Symphony, the San Juan Symphony, Lakewood Symphony, the Denver Pops Orchestra, the Littleton Symphony, the Lamont Symphony Orchestra, and extensive time playing Eb clarinet with the Lamont Wind Ensemble. the way her teachers helped her. Leslie is a passionate educator who has spent time on faculty at Mt. Holyoke College and the Eaglebrook School. She currently maintains a private studio in Denver and is an active guest clinician across Colorado. Leslie studied clarinet at Adams State, the University of Massachusetts Amherst, and recently completed a Performance Certificate at the University of Denver. Influential teachers include Dr. Tracy Doyle, Claudia Weir, Michael Sussman, and Dr. Jeremy Reynolds. Leslie loves the color green, otters, Beethoven Symphony Number 7, Mozart operas, Blue Lake Fine Arts Camp, the smell of rosemary, and her rather aggressive, toothless cat. Leslie is very knowledgeable, flexible, listens well, teaches well and very encouraging. I couldn’t ask for more, and I’ve had three other teachers. I’m excited about learning from her. Leslie has been amazing with our 13 year old who is learning saxophone as a beginner. She has taken the time to get to know our daughter and is a great listener. She teaches while involving Emma in the lesson plan. She is collaborative but has clear expectations for growth; it has been the instructional style our daughter needed. Leslie has also been very flexible with last minute schedule changes and is very responsive. We were nervous to use this platform as a new student, but it has been more effective than in-person instruction. Highly recommend Leslie! Want to learn how to play saxophone, improve your playing, and learn music theory? Tired of teachers just throwing books and thoughtless lesson plans at you instead of tailoring every lesson for your specific needs? I'll help you lay necessary foundation, expand upon what you already know, and teach you exciting new things in a way thats customized for you and your growth. I am both classically and jazz trained, and I have played with, studied with, and learned from musical masters like Delfayo Marsalis, Donald Harrison, Jason Palmer, Trombone Shorty, Christian Scott and many more. If you're looking for an attentive yet challenging teacher to enhance your ear training, reading, music theory, soloing, and performance, look no further. Let's get started! Can't find a teacher in Lafayette, CO? "Lucas is a great instructor, however the internet connection/ experience for the online lessons keeps me from giving a 5 star review." Boulder, CO teacher: Lucas H.
"Great. My son really liked him. He gave some good tips and directions." "Great first lesson Lucas is very knowledgeable and I think I will get a lot out of these lessons. "He is covering everything in a clear fashing"
"Great saxophone instructor, couldn’t have asked for better." "Lucas is a fantastic teacher and is the best teacher I've had so far!"